That’s all there is to it, pretty simple and should take you just a minute or two to complete. One hiccup I ran into with some audio sources is the audio length metadata remains in exported m4r despite creating a new file. This then causes iTunes to complain the ringtone is too long and can’t be transferred to the iPhone, but it ends up copying over anyway. Just ignore the error if you see it and you should find the ringtone on the iPhone anyway. Also, if you recorded a video with your iPhone or iPad that you want to use the audio track as a ringtone, you can get a head start by using the same trim function in iOS before sending it to your computer to finish the conversion to a ringtone. 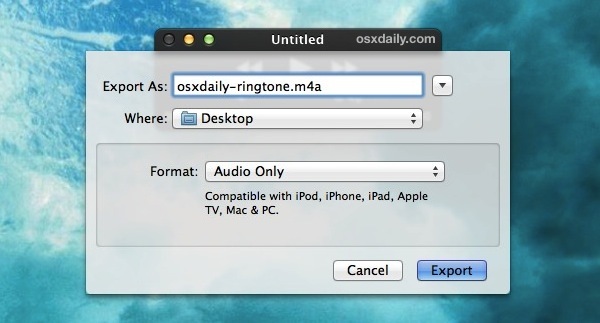 You can also still use iTunes to create free ringtones out of any song in your music library, a method that has been around forever, but the QuickTime approach is often faster and works with a wider variety of file formats, reading and converting both audio and video files to the desired m4a filetype. 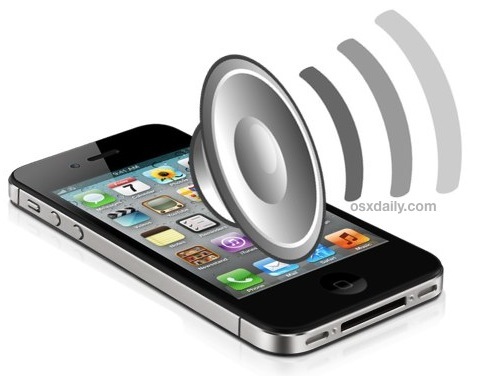 Are iPhone Ringtones Coming from Apple? 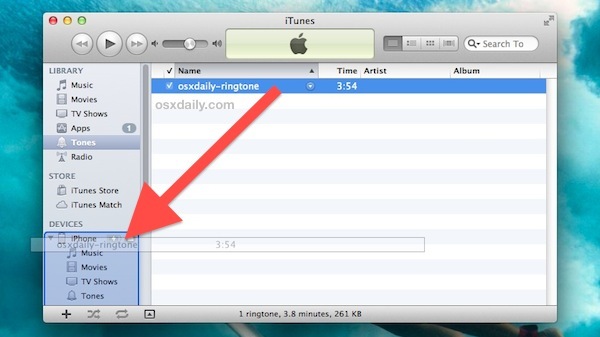 Do it even quicker with Lion encoding tools! It still needs to be trimmed to 30 seconds, so either way you’ll have to go through as many steps to make the ringtone. Cool, did it in Mountain Lion with a short video clip in like under a minute. Piece of cake thanks for the great tip. Paul, it’s = it is. You just typed “but using it is Export function”. This does not work in the latest QuickTime player version 7.7.2. Are there any other options? Doesn’t work in Quicktime ver. 10.1 either. There’s no “trim” button. BRILLIANT!!! This was well written and solved my problem with amazing ease. THANK YOU!!! Or on Android you just pick any song and tap Set As Ringtone. Done. Why does Apple make it so difficult? As for me, I think iTunes is a little complicated to turn my MP4 files to M4R. Because many windows will pop up for my confirmation, which may make me feel confused. So I prefer use video converter to convert my audio/video to iPhone’s ringtone format. I converted the file to m4r but it is not in my Itunes. Can’t find it there and can’t seem to drop it in there. Why not? when I “Double-click yourfile.m4r to open it in iTunes, where you’ll find it under the “Library” section within “Tones”” nothing happens. Itunes doesn’t open it and it doesn’t put it under Tones.